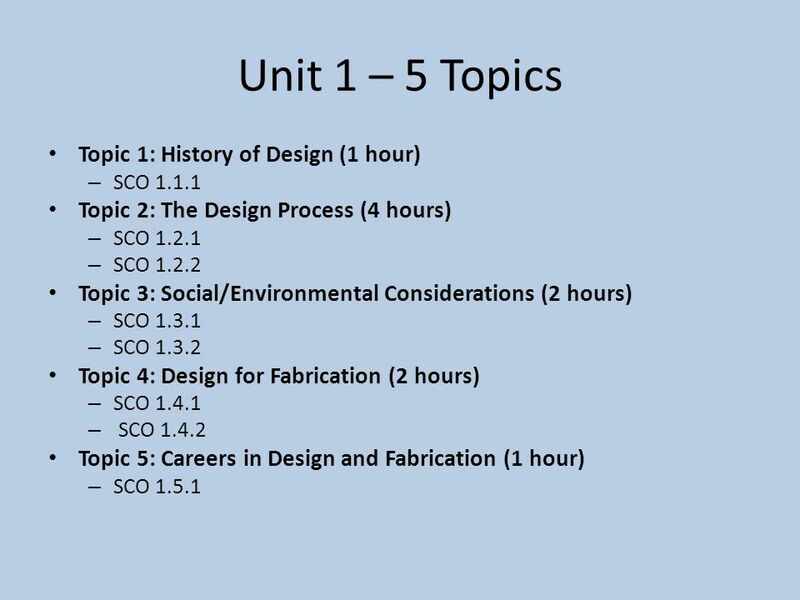 Design & Fabrication 1201 Unit 1 Overview. 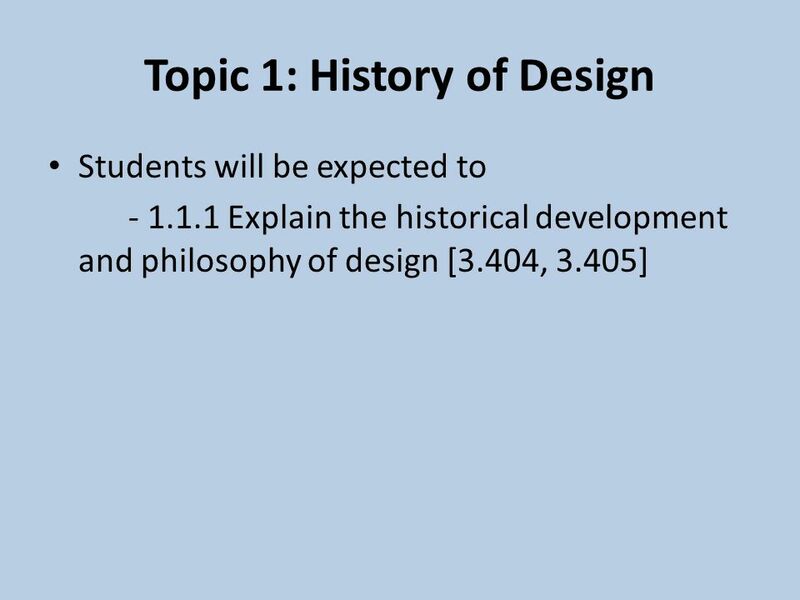 Unit 1 – 5 Topics Topic 1: History of Design (1 hour) – SCO 1.1.1 Topic 2: The Design Process (4 hours) – SCO. 5 "Those who do not remember the past are condemned to repeat it." 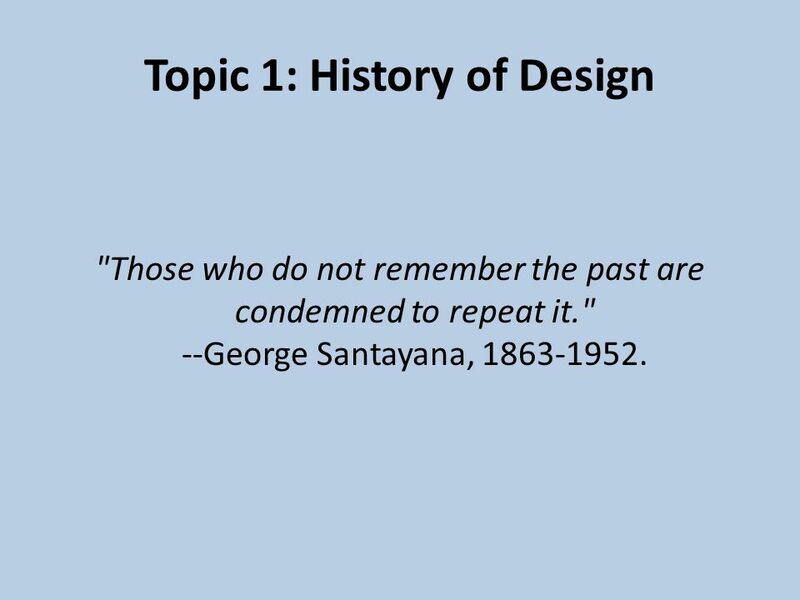 --George Santayana, 1863-1952. 7 Until that time, however, buildings were not really engineered at all. 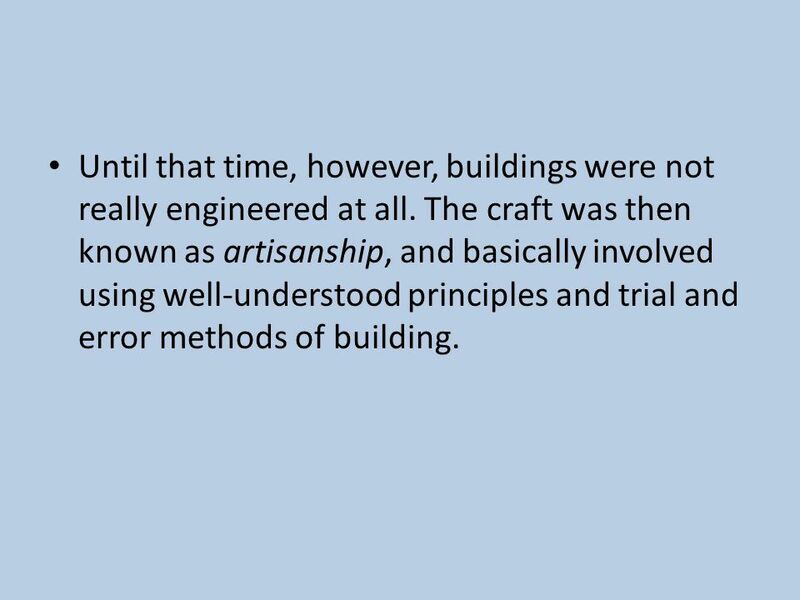 The craft was then known as artisanship, and basically involved using well-understood principles and trial and error methods of building. 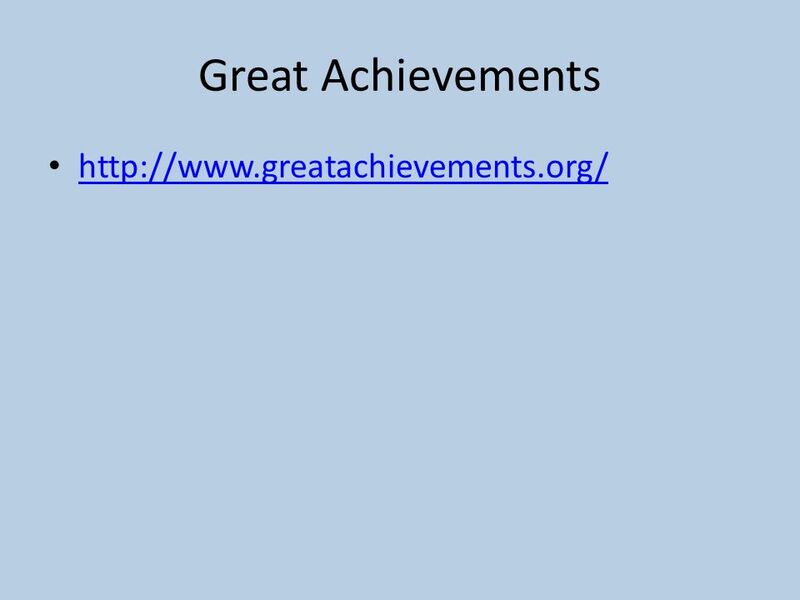 8 When insurmountable problems are encountered, the entire project is junked and started over again. 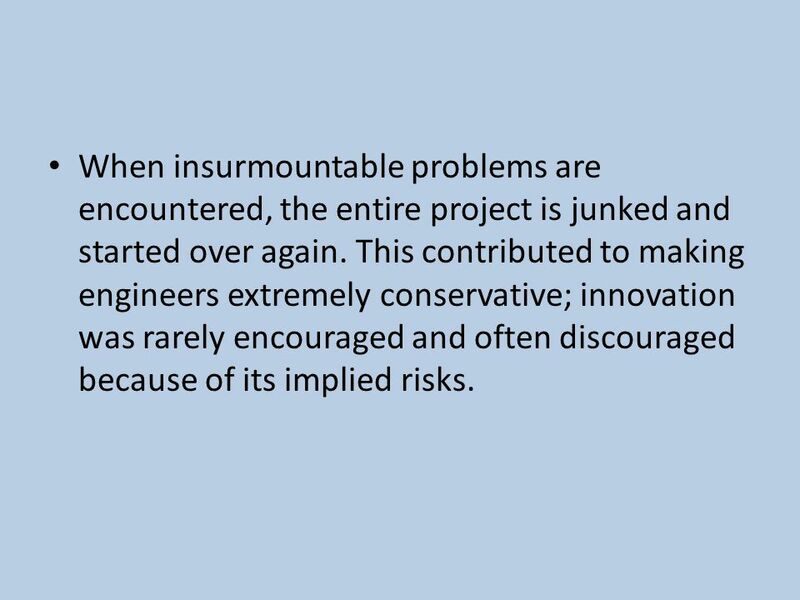 This contributed to making engineers extremely conservative; innovation was rarely encouraged and often discouraged because of its implied risks. 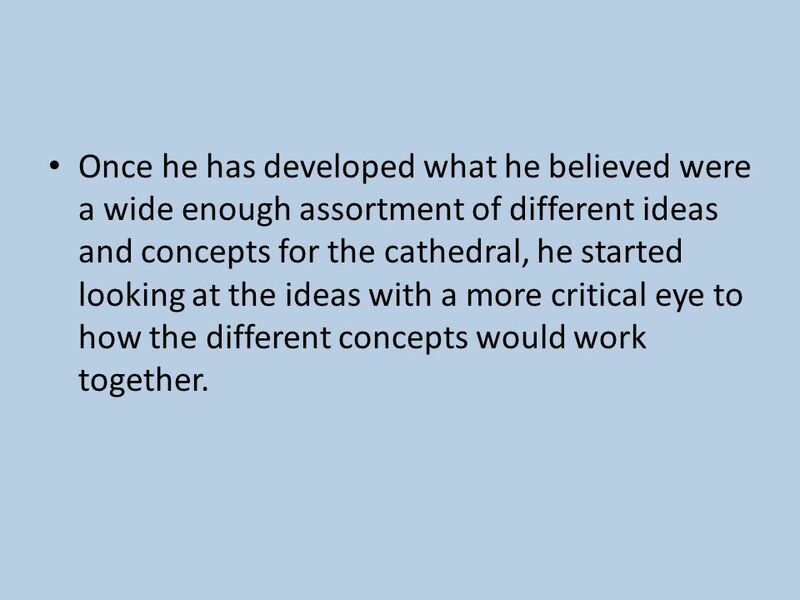 9 Once he has developed what he believed were a wide enough assortment of different ideas and concepts for the cathedral, he started looking at the ideas with a more critical eye to how the different concepts would work together. 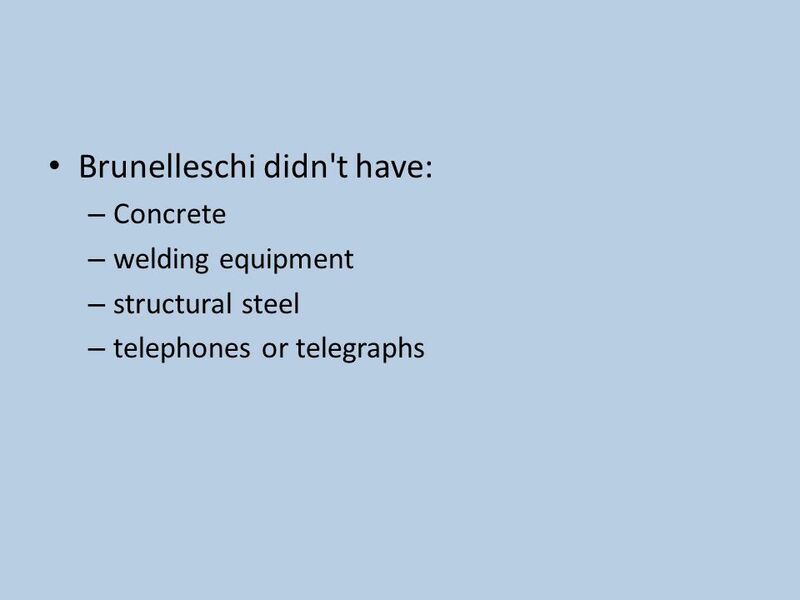 10 Then, Brunelleschi did something new. 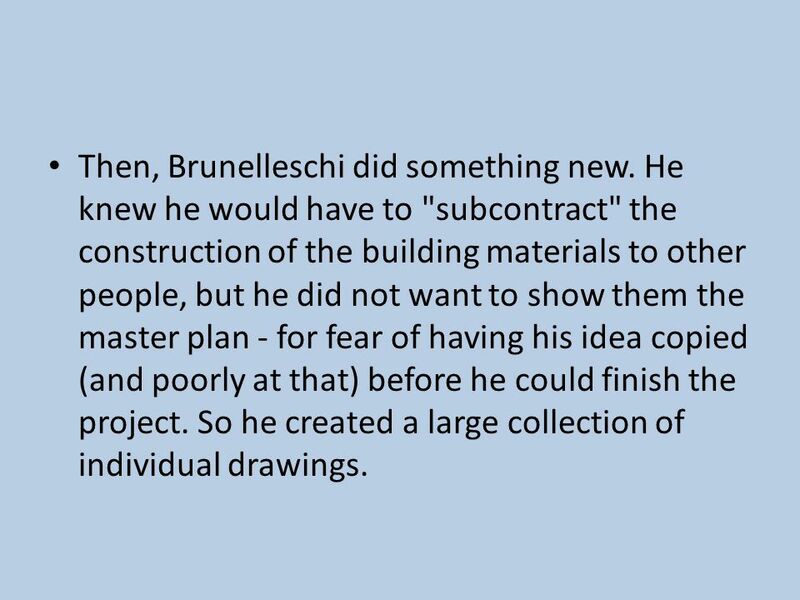 He knew he would have to "subcontract" the construction of the building materials to other people, but he did not want to show them the master plan - for fear of having his idea copied (and poorly at that) before he could finish the project. So he created a large collection of individual drawings. 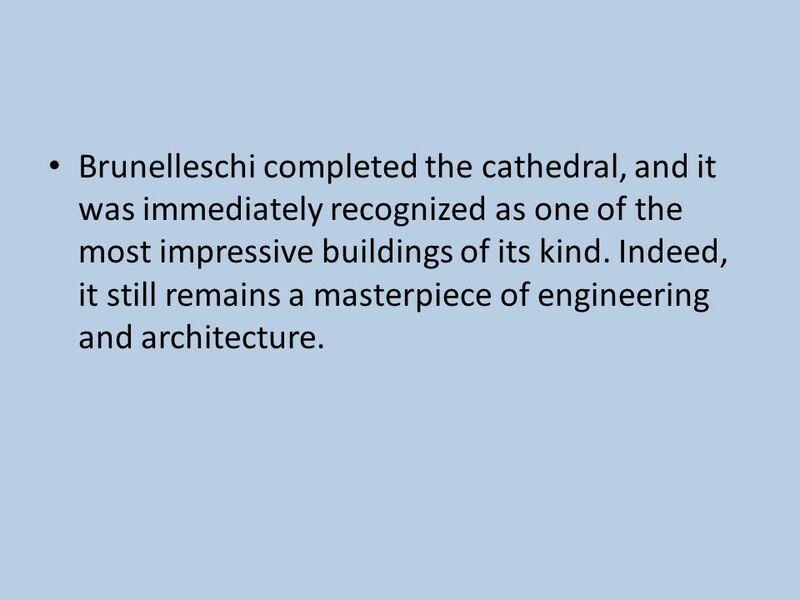 11 Brunelleschi completed the cathedral, and it was immediately recognized as one of the most impressive buildings of its kind. Indeed, it still remains a masterpiece of engineering and architecture. 16 What does this have to do with design? 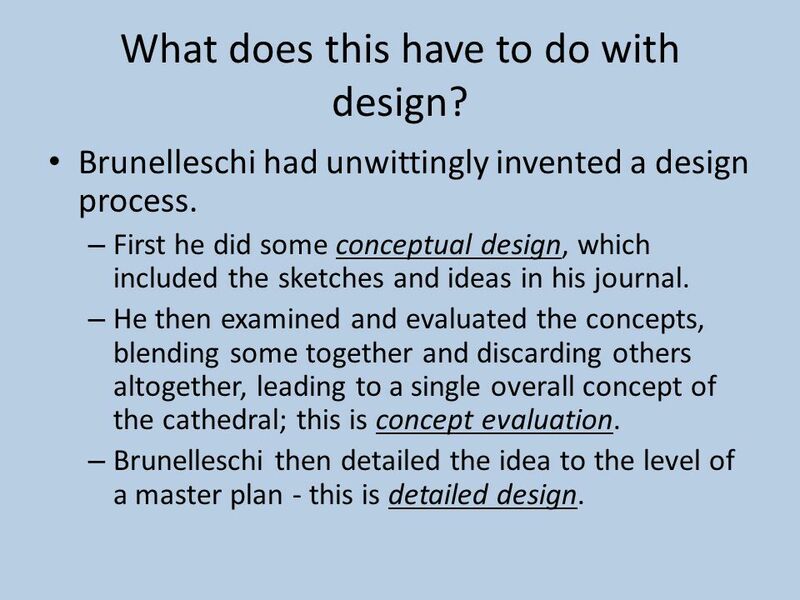 Brunelleschi had unwittingly invented a design process. – First he did some conceptual design, which included the sketches and ideas in his journal. – He then examined and evaluated the concepts, blending some together and discarding others altogether, leading to a single overall concept of the cathedral; this is concept evaluation. 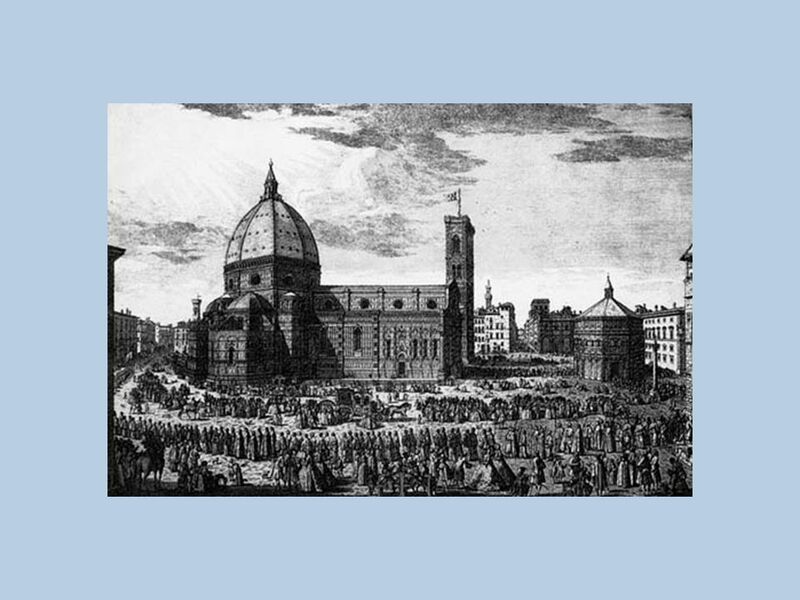 – Brunelleschi then detailed the idea to the level of a master plan - this is detailed design. 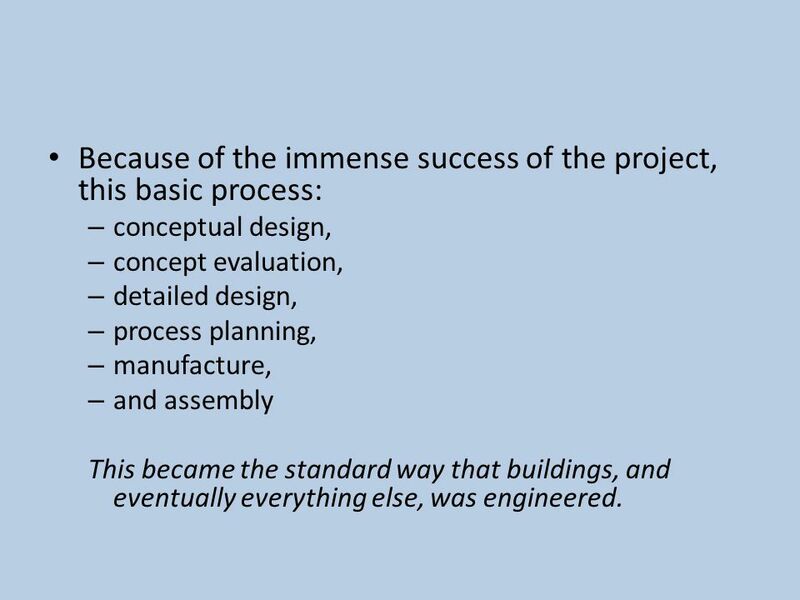 18 Because of the immense success of the project, this basic process: – conceptual design, – concept evaluation, – detailed design, – process planning, – manufacture, – and assembly This became the standard way that buildings, and eventually everything else, was engineered. 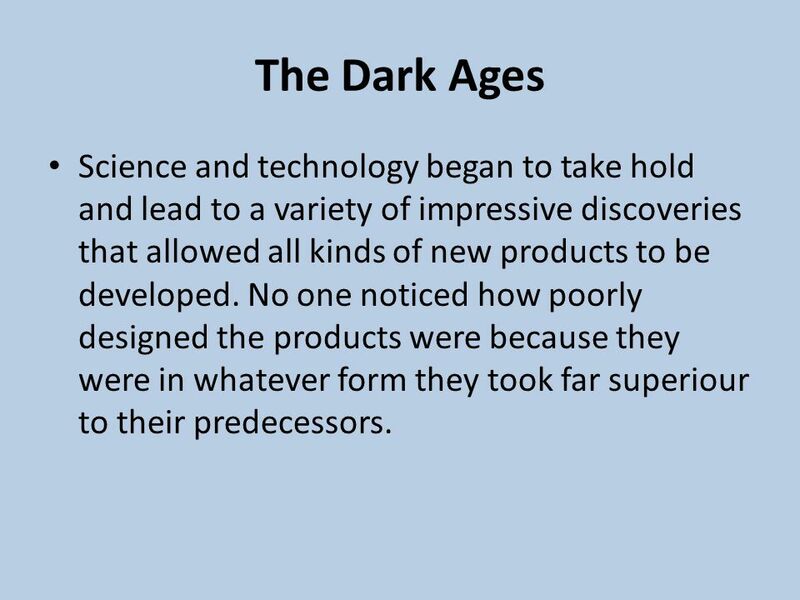 19 The Dark Ages Science and technology began to take hold and lead to a variety of impressive discoveries that allowed all kinds of new products to be developed. 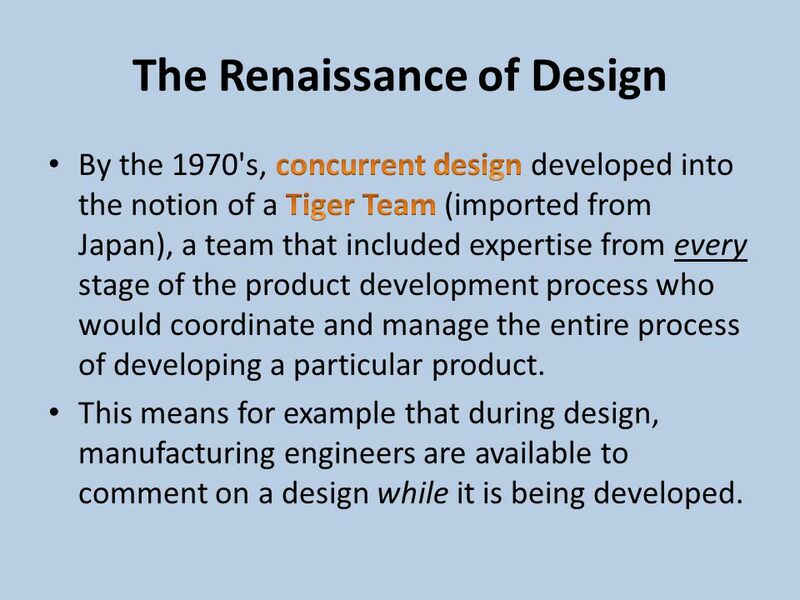 No one noticed how poorly designed the products were because they were in whatever form they took far superiour to their predecessors. 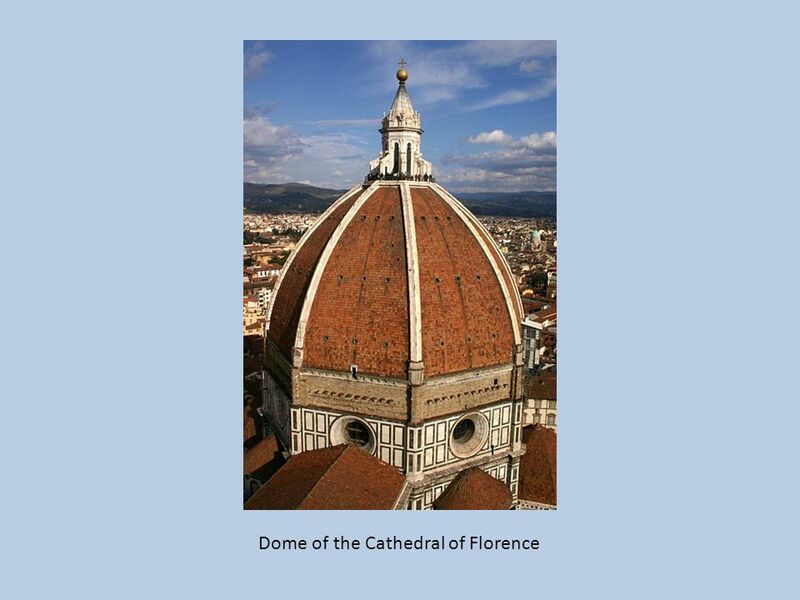 22 Brunelleschi used only stone, wood, and ceramic/terracottas for his work. "Nails" were made of wood. 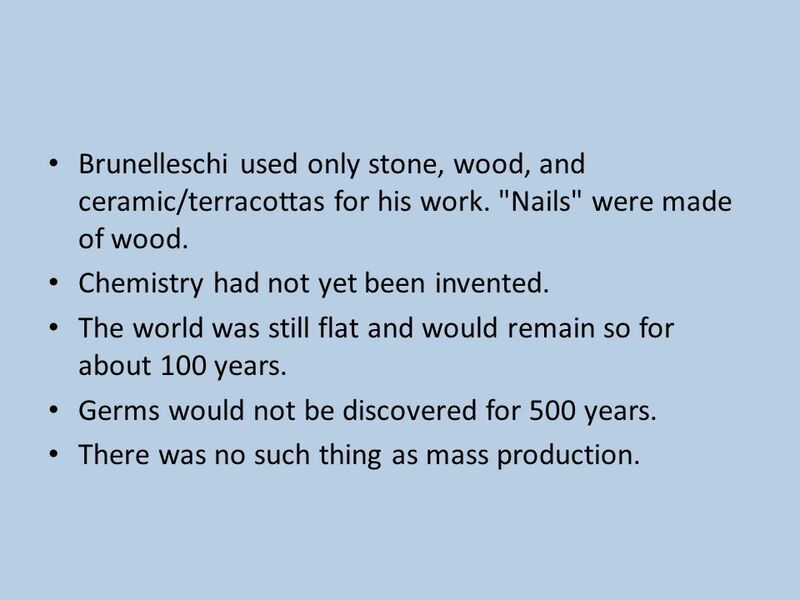 Chemistry had not yet been invented. The world was still flat and would remain so for about 100 years. Germs would not be discovered for 500 years. There was no such thing as mass production. 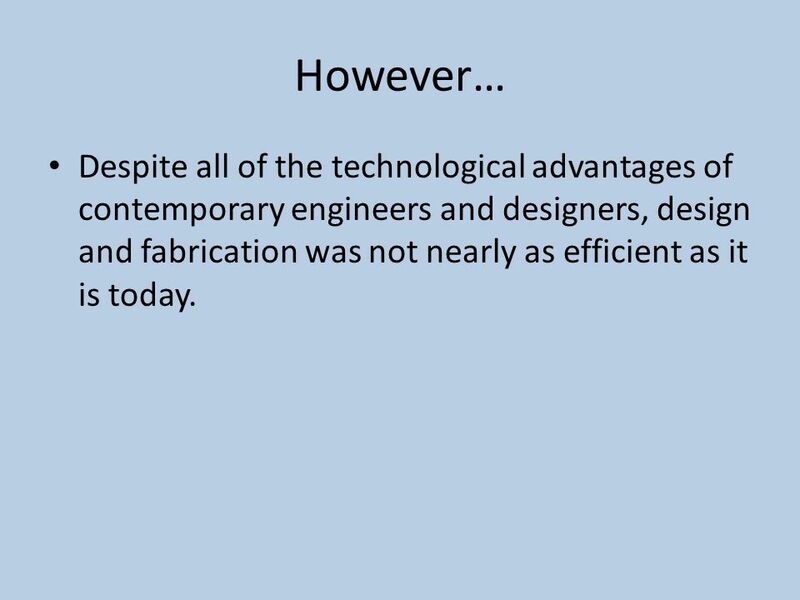 23 However… Despite all of the technological advantages of contemporary engineers and designers, design and fabrication was not nearly as efficient as it is today. 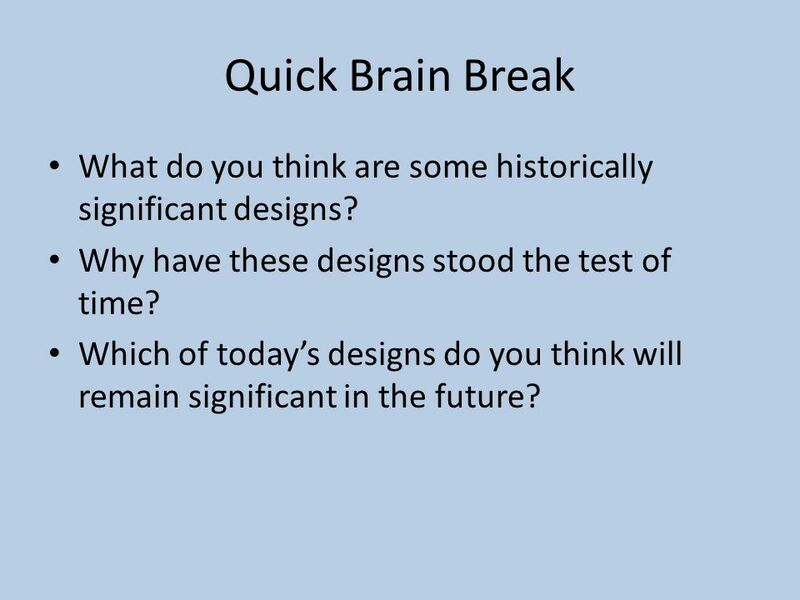 24 Quick Brain Break What do you think are some historically significant designs? Why have these designs stood the test of time? Which of today’s designs do you think will remain significant in the future? 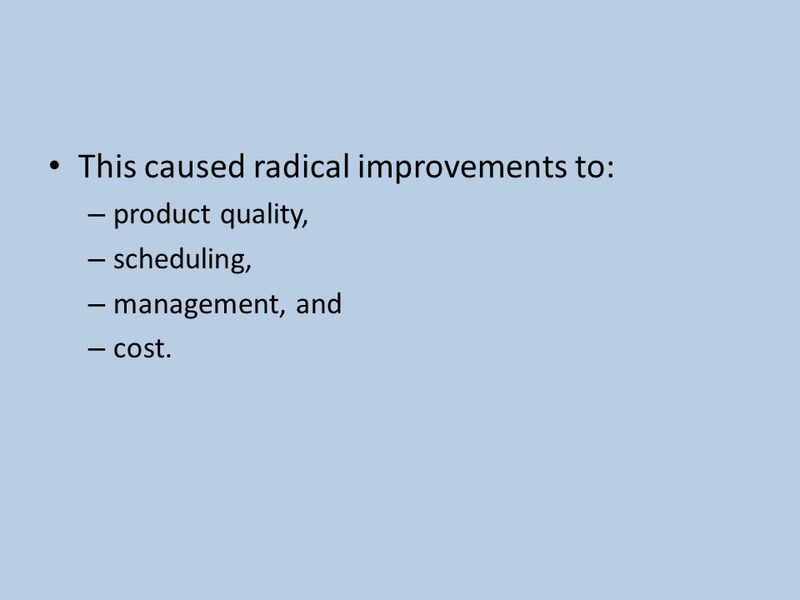 27 This caused radical improvements to: – product quality, – scheduling, – management, and – cost. 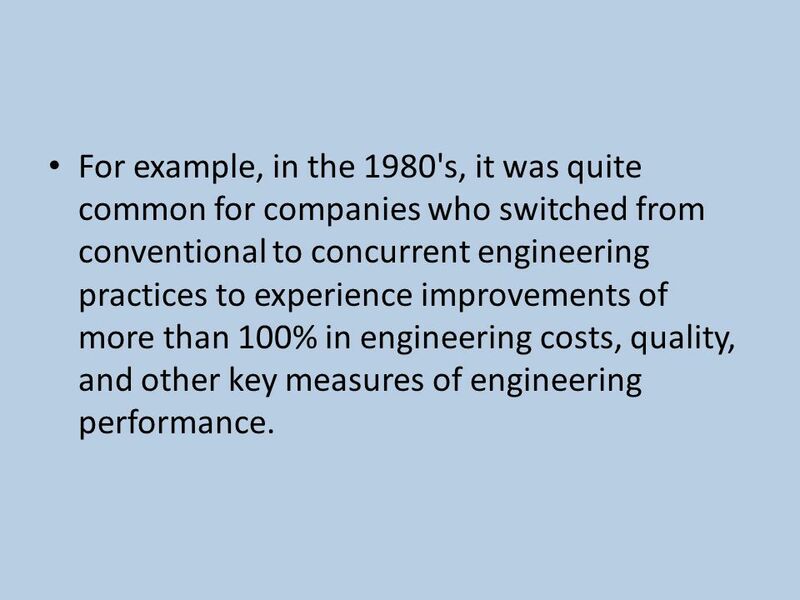 28 For example, in the 1980's, it was quite common for companies who switched from conventional to concurrent engineering practices to experience improvements of more than 100% in engineering costs, quality, and other key measures of engineering performance. 29 And into the future… The changes continue. 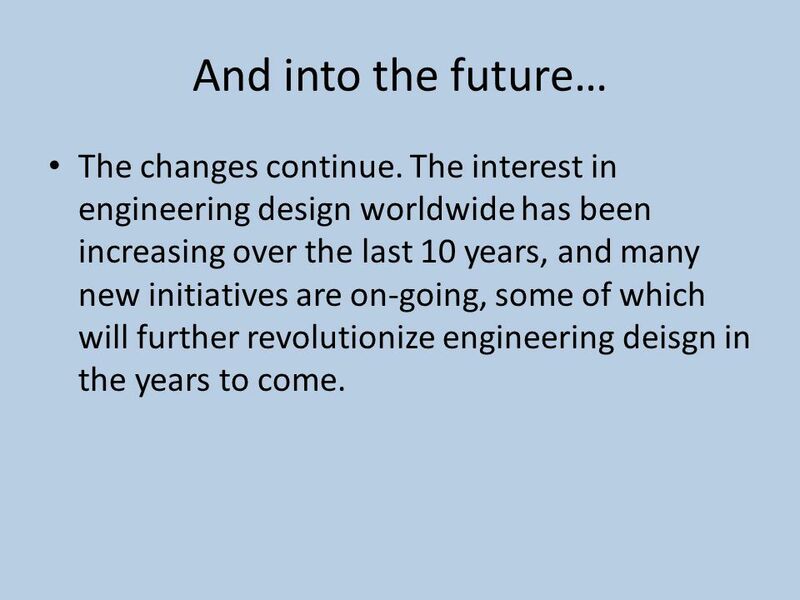 The interest in engineering design worldwide has been increasing over the last 10 years, and many new initiatives are on-going, some of which will further revolutionize engineering deisgn in the years to come. 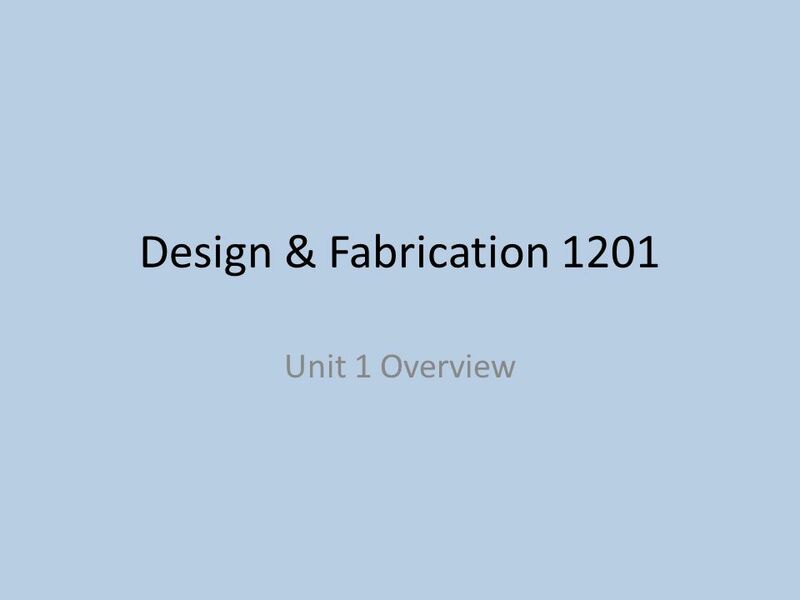 Download ppt "Design & Fabrication 1201 Unit 1 Overview. 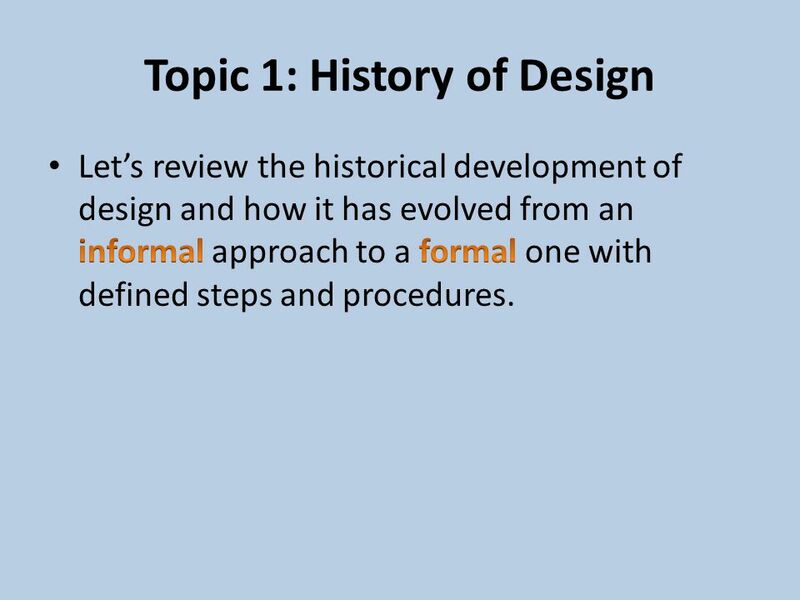 Unit 1 – 5 Topics Topic 1: History of Design (1 hour) – SCO 1.1.1 Topic 2: The Design Process (4 hours) – SCO." Day 18 Bell stART ELEMENTS of DESIGN Write in your sketch book: Craftsmanship--one who creates or performs with skill or dexterity especially in the manual. 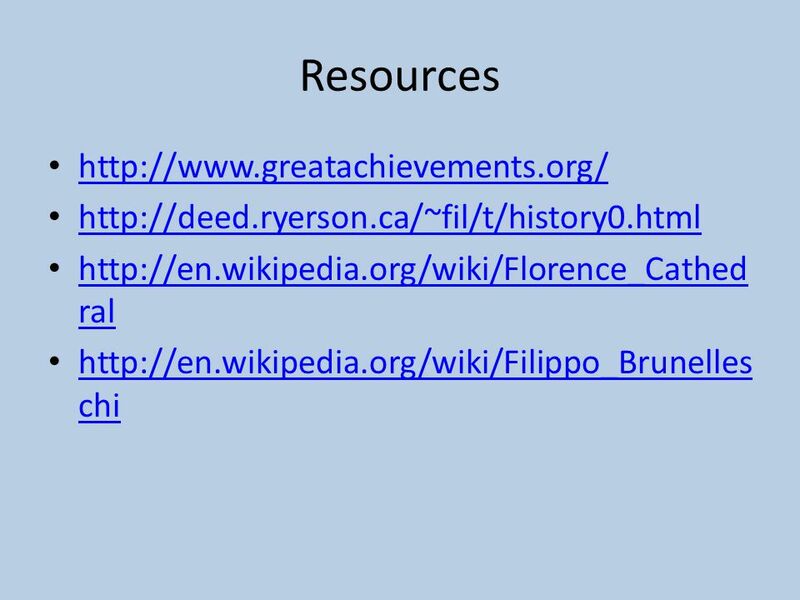 Filippo Brunelleschi Filippo Brunelleschi is considered to be the first modern engineer. By Kevin Honeywell. Early Renaissance Architecture. 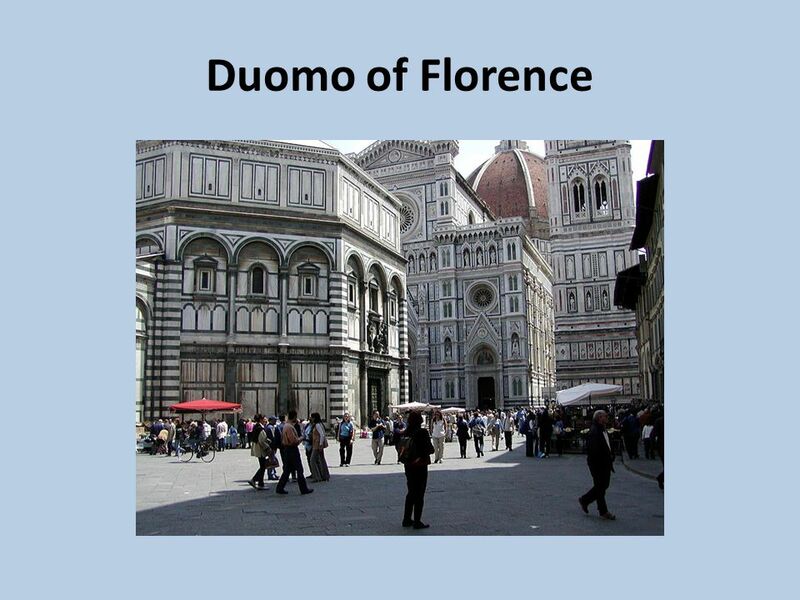 Architecture- (or Mrs. Amor’s trip to Florence) The Cathedral or Duomo of Florence as we see it today is the end result. 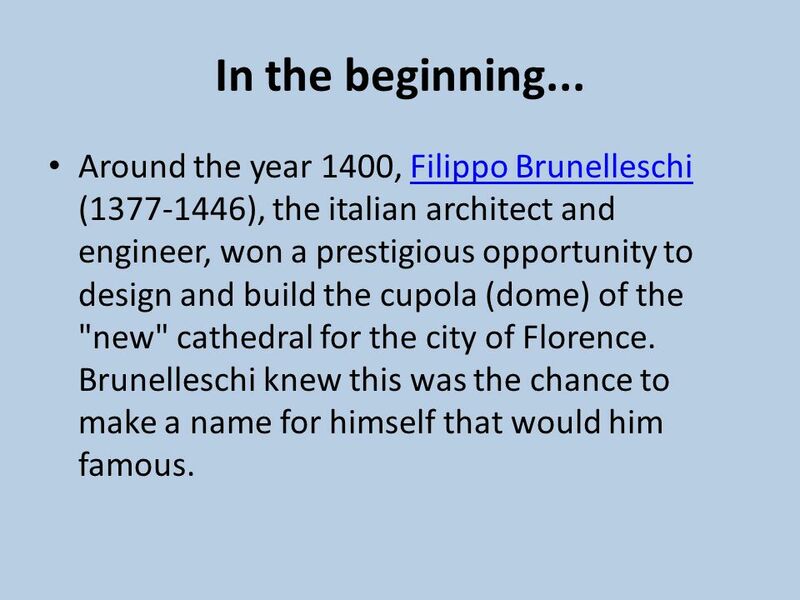 Filippo Brunelleschi The Architect of Florence. The Significance of the Renaissance The Renaissance came to be after the work of Petrarch had begun to. Recall: Who hired artists to create paintings and sculptures?  Rich families and church leaders. By: Emily Stevens. 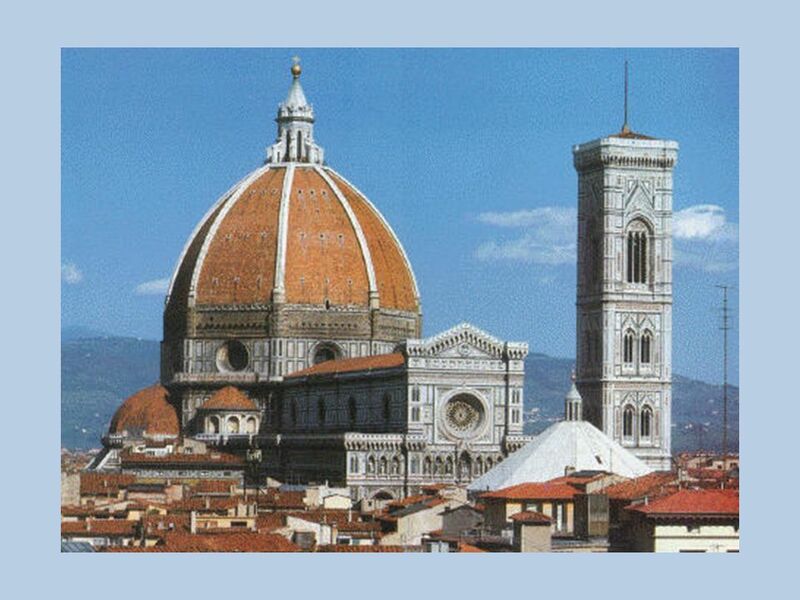 Florence, Italy is where Filippo Brunelleschi was born and raised. His father was a lawyer, and made sure his son had the appropriate. 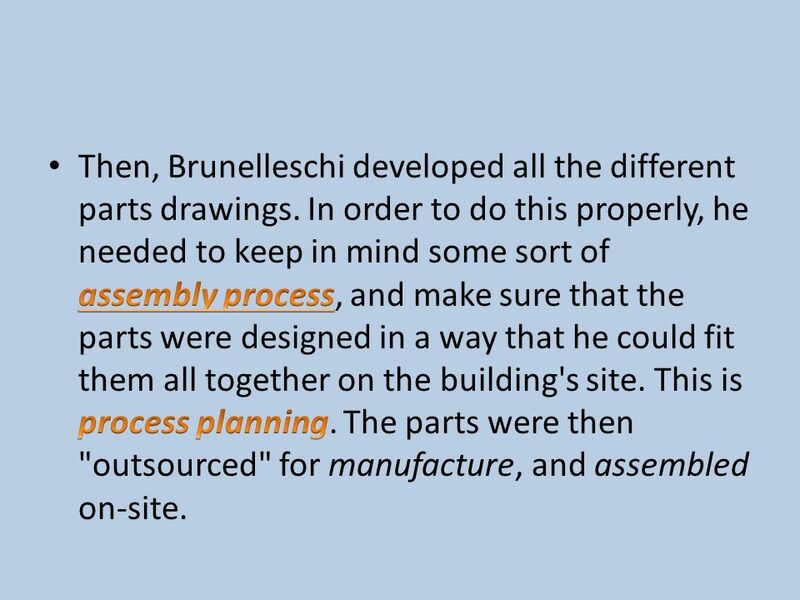 Filippo Brunelleschi The First Engineer Of The Renaissance. 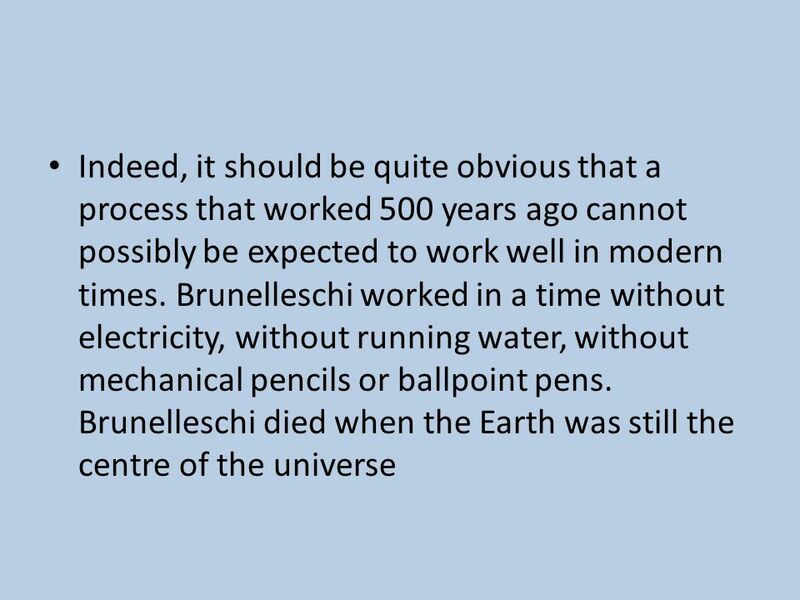 Filipo Brunelleschi  Trained as a goldsmith and sculptor.  Became an artist and architect. EVOLUTION Chapter 15. Florida State Standards Associated With Evolution  SC.912.L Explain how the scientific theory of evolution is supported by. 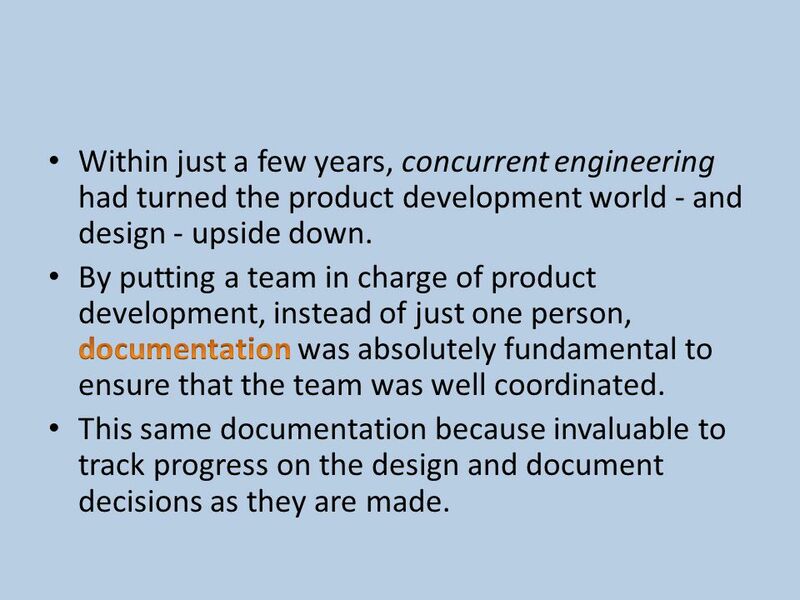 A Brief Introduction to Lean Management By Sean M. Moore. The Scientific Revolution. Truth? In the Middle Ages, scholars decided truth based on the Bible or from Greek or Roman texts.